Learn Dothraki, an anti-theft app that gives off a "Magnanakaw" tone, and more. If you thought Facebook stickers were amazing, this new update is probably revolutionary. Sometimes, all you need is an emoji to say how you feel. Now you can fully express your emotions via Facebook stickers in comments, group posts, and personal profiles. 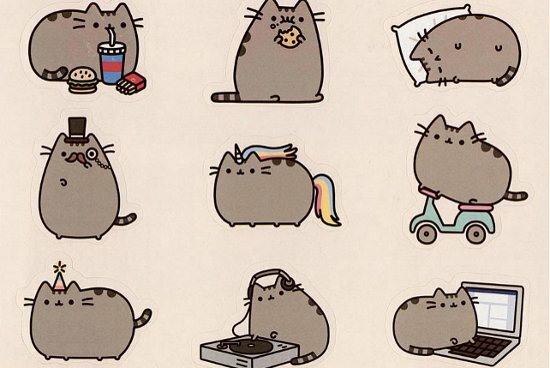 Your Pusheen use is no longer limited to just Facebook Messenger. A Filipino-made app aims to address the issue of cell phone theft in the country by immobilizing, locating, and eventually recovering stolen phones. App developer Jun Lozada said the Theft Apprehension and Recovery Application (TARA) app does not require Internet connection because it is embedded in the phone’s software and not in its operating system. In incidents of phone theft, the user can lock the phone and trigger an alarm by sending an SMS and a six-digit code to the stolen device or by calling the TARA hotline numbers. The alarm gives off a loud "Magnanakaw" tone on loop and will play continuously even without a SIM card. Thieves may attempt to remove the battery and sell the phone, but the alarm will be re-activated when the device is turned on. Vice President Jejomar Binay slammed his critics in a speech at the 5th MCLE (Mandatory Continuing Legal Education) Accredited National Convention of Public Attorneys on Wednesday. "There is selective justice. Kaming oposisyon ang laging tina-target," Binay stated. "Matapos mapakulong ’yung tatlo (sina Senador Bong Revilla, Juan Ponce Enrile at Jinggoy Estrada), wala na. Si Secretary Abad, ayaw magbigay ng dokumento ng DAP (Disbursement Acceleration Program). Si General Purisima...walang kaso." Binay also expressed his sympathy for former president and current Pampanga Representative Gloria Macapagal-Arroyo. He pointed out, "Kababaing tao, naging presidente, may sakit pa, tama ba iyan? Palagay ko hindi tama iyan." Senator Miriam Defensor Santiago defended former Makati Vice Mayor Ernesto Mercado on his "positive testimony" on the alleged Binay farm. "So far, no court has yet passed upon the credibility of Mercado as the tormentor of Binay. But so far because of his repeated appearance in the Senate hearings, it is Mercado who should be credited for positive testimony. His statements are based on facts supported by documents and replete with details-factors which, in jurisprudence, are considered as indicators of truth," she said in a speech at the Philippine Christian University on Wednesday. The World Health Organization (WHO) said Tuesday the Ebola infection rate could soon reach 10,000 a week as world leaders prepared to hold talks on the crisis at the United Nations. WHO Assistant Director General Bruce Aylward, describing his figures as a working forecast, said the epidemic "could reach 5,000 to 10,000 cases per week by the first week of December." Catholic bishops said Tuesday that they remain fundamentally opposed to homosexual relationships, tempering the recent message of a landmark Vatican report calling for a more positive approach to gay believers. Amid signs of a conservative backlash by Vatican liberals supported by Pope Francis, bishops called for "appropriate prudence in signals sent to the gay community." Justice Secretary Leila de Lima on Wednesday has put forward the idea of initiation rites done in the open and in full view of the public to prevent abuse. In a speech during an anti-hazing media briefing and consultation event organized by the National Youth Commission, she emphasized the need for transparency among school fraternities and organizations, so that initiation rites would not become susceptible to power-tripping, abuse, humiliation, and hazing. Why learn another language when you can learn a completely fictional one? The hit show Game of Thrones has spawned an app for fans to learn Dothraki. The app promises games, more than 300 vocabulary flashcards, a grammar summary, culture notes, and even "conversational dialogue" because you’d naturally want to insert your newfound words into everyday conversations. The Philippines on Wednesday described the murder of a transgender Filipino as an ’’isolated incident’’ that must not derail ties with Washington after a US Marine was identified as the suspect, sparking anti-American protests. "We call on all concerned not to lose sight of the bigger picture and to look at these (defense ties) as different issues," Philippine Defense Department spokesman Peter Paul Galvez said in a statement. He continued, "This is an isolated incident, albeit a tragic one [...] If we don’t have assistance, we will never develop our capabilities." Make your list, check it twice, and head to these stores for your Yuletide shopping. We promise a diverse list that caters to different styles, budgets, and recipients (including yourself).